Like the previous model, what I like most about the Aftershokz Sportz M2 is the open ear design. It makes it easy to listen to audio with the headphones and hear environmental sounds without too much trouble. When running, I could easily hear books or music without a problem, except when there was an exceptionally loud truck next to me or a siren from a firetruck was blaring as it passed by. Since those are extreme circumstances, they were perfect for running and keeping aware of local circumstances. Using the Aftershokz for the first time does take some adjustment, since it is a different listening experience than most people are used to. After the adjustment period, the sound has a slightly muddled quality than other headphones, since it’s being transmitted via bone conduction rather than the ears, but when running, sound quality is not the top priority and it sounds quite good when on out running. The sound quality is noticeably better than the previous model, and could quite possibly be on par with regular headphones within a few iterations. The Aftershokz Sportz M2 have a band that loops behind the head and holds the speaker pads in place in front of the ears. The Sportz M2 never slipped or moved the entire time I ran with them. The only times I have had to move or adjust them were when people tried to talk to me while I was wearing them and I removed them to remove the distraction when talking. A single wire hangs down from the headband to a small battery box to power the headphones. Compared to the previous model, the battery box is more solid and sturdier. It uses hard plastic buttons to control volume and phone control button, and a solid on/off switch. My only problem with it is the same problem I had previously, where there is a short wire from the headband to the battery box and a long wire leading out. Since I run with my iPod nano in my pocket, I need to clip the box into the collar of my shirt, but if someone ran with their iPhone/iPod on an armband, it is the perfect length for that. 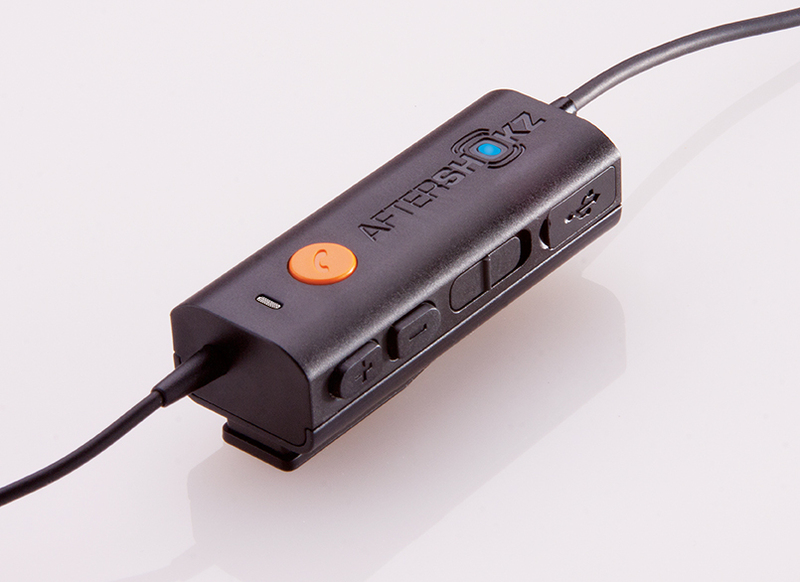 The previous model of the Aftershokz used a dongle that went from USB to the headphone plug to charge, but the Sportz M2 have added a micro USB port to the battery box. This is a major improvement over a dongle that can easily be lost and was wider than the USB port, so nothing could be plugged in next to it. 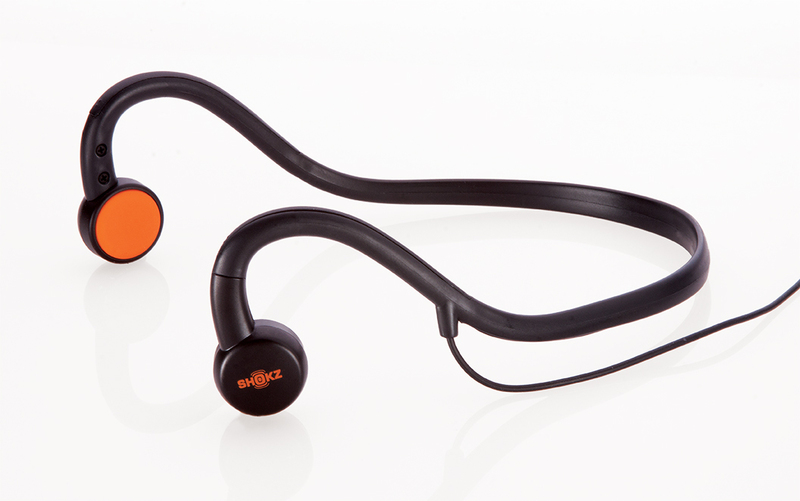 Aftershokz has taken their sports headphones and made them even better with the Sportz M2. The cable length on the Aftershokz is still a minor issue for me, but the Aftershokz Sportz M2 have taken my preferred exercise headphones and made them even better.